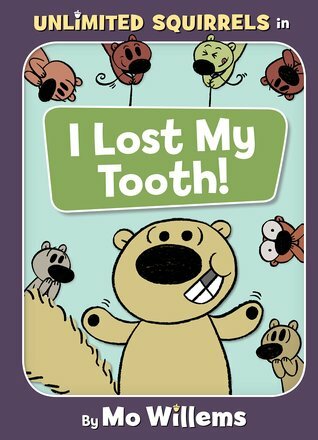 First sentence: I lost my tooth! Th! What did you say, Zoom Squirrel? Th! Th! Th! I lost my tooth, Th-ip Squirrel. What did Zoom Squirrel say? Premise/plot: Zoom Squirrel has lost a tooth. His squirrel friends have a hard time understanding what exactly this means. Their confusion goes on for over fifty pages. They imagine first that Zoom's tooth is MISSING. Then when Zoom explains that it was a baby tooth, his friends get really emotional. A BABY tooth is MISSING. I am super-excited that Mo Willem is still writing books. I love his Pigeon series. I do. I love, love, love, crazy-love his Elephant and Piggie series. I enjoy Knuffle Bunny. There have been a few stand-alone books that I've enjoyed as well. This appears to be the start of a new series. I hope future books are better.